Custom millwork provider, INTEX Millwork Solutions, has been awarded a GSA Contract by the General Services Administration for their Dartmouth and Nautilus exterior railing systems as well as several newel post and newel cap designs. GSA Contracts benefit companies wishing to sell to the federal government. This new GSA contract will open the door for the INTEX Dartmouth Rail System to be used in many more commercial applications. The Dartmouth 12 foot span capability should give INTEX a real edge against our competitors. Custom millwork provider, INTEX Millwork Solutions of Millville, NJ, is proud to announce they have just been awarded a GSA Contract from the General Services Administration for their custom crafted Dartmouth and Nautilus exterior railing systems. The GSA Contract, also referred to as the Federal Supply Schedule, is a Multiple Award Schedule (MAS) Contract widely used by the government for effective marketing. In obtaining a GSA Contract, the General Services Administration will conduct a thorough review of a company’s capabilities, past performance and commercial sales practices. After negotiating discounted rates for government buyers and establishing a GSA price list, government buyers will no longer have to seek full and open competition, synopsize requirements, or make a determination of fair and reasonable pricing. The Dartmouth Extruded Rail System and the Nautilus Milled Rail System provide custom crafted designs featuring outstanding strength and beauty for a unique finished look. The exterior railing systems serve as both vital structural components and dramatic visual elements. And with INTEX systems approach, government contractors will always have the advantage of having quality, beauty and simplistic designs brought to a new level. 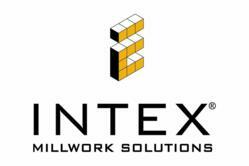 INTEX Millwork Solutions’ GSA Contract is valid for an initial five-year period with three five-year extension options. The GSA Contract must be kept up-to-date with current compliancy regulations and company pricing and offerings in order for to maintain efficiency and profitability. INTEX Millwork Solutions specializes in the manufacture of high quality, maintenance free architectural millwork products. In addition to their standard product offering, their technical capabilities make them the ‘go-to’ company for those difficult projects that require job specific engineering and design assistance. INTEX’s strength in both traditional workmanship and engineering technology crafts intricately detailed, high-quality millwork for distinctive homes and buildings.